Hey friends! Can you believe it’s the end of October already? 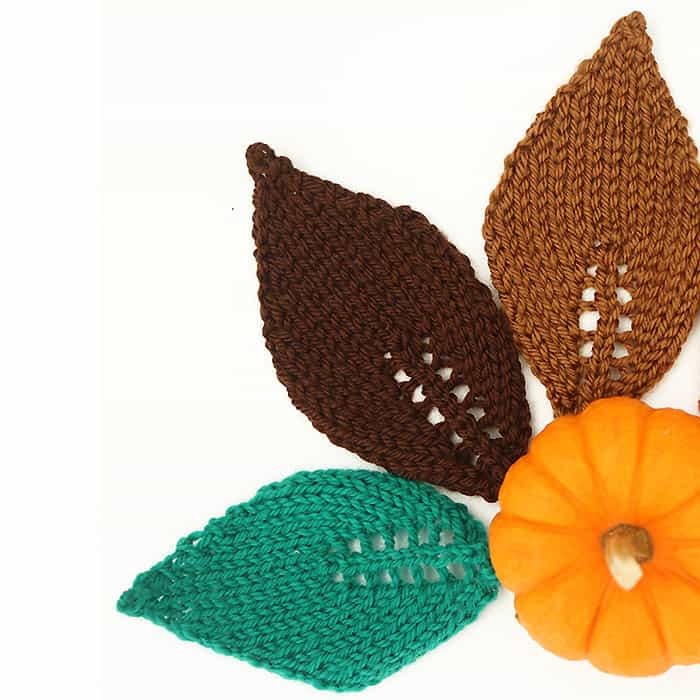 Luckily, we still have another month of harvest decor! 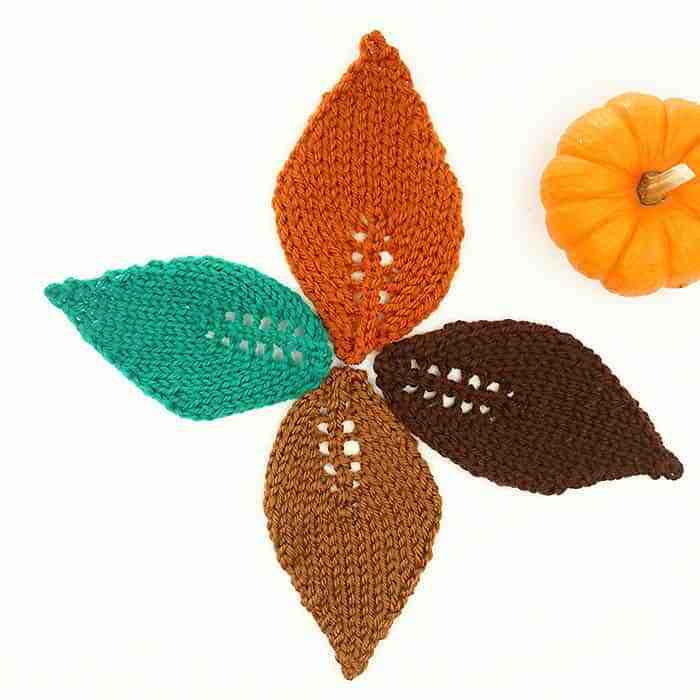 This Easy Leaf Knitting Pattern is really easy to make and it’s a great way to use up scraps of yarn. 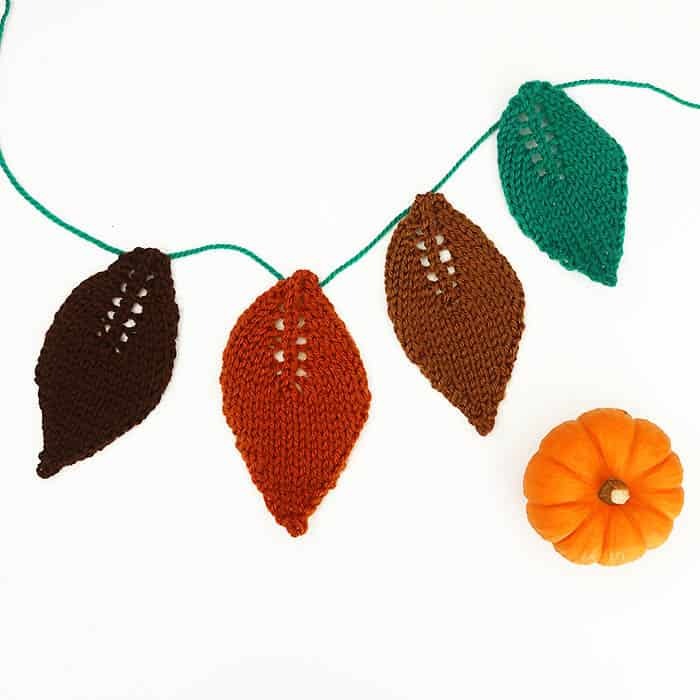 These knit leaves can be strung as garland, sewn on as an applique or even attached to presents. 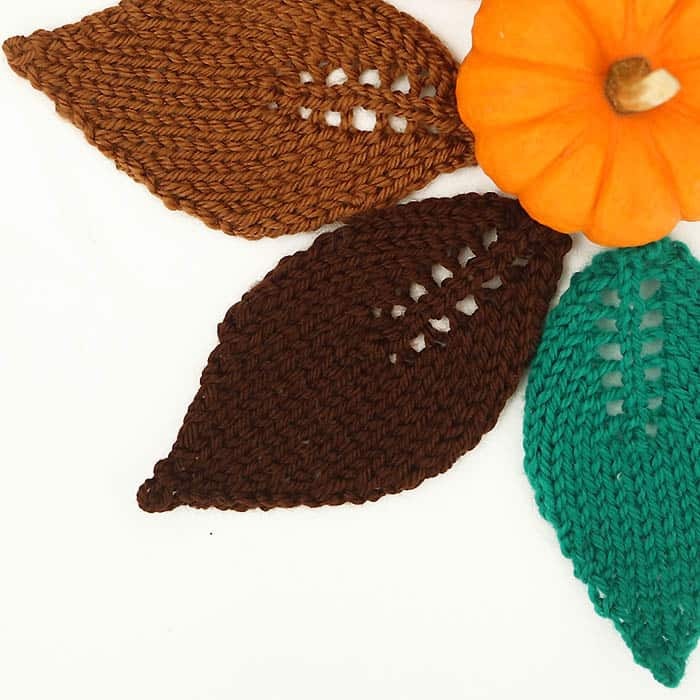 This pattern contains an abbreviations newbie knitters might not be familiar with- YO. YO simply means yarn over. 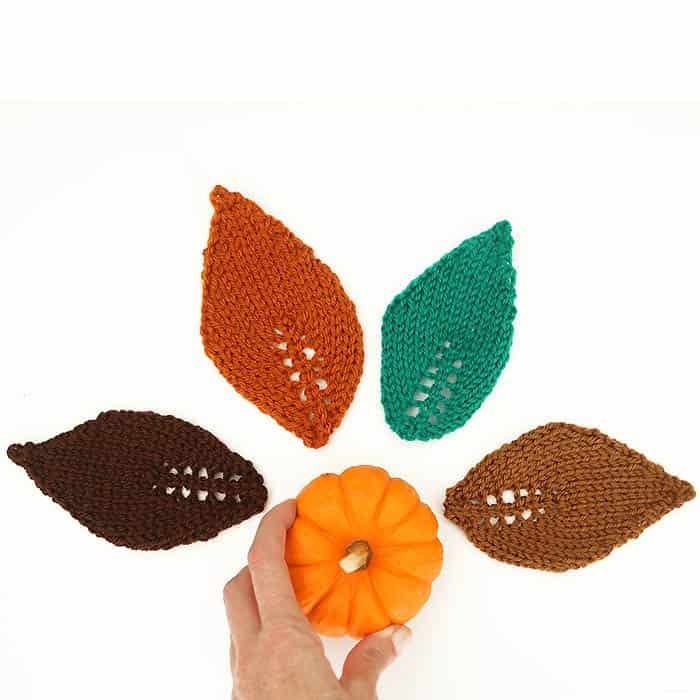 Yarn Over creates an extra stitch and it makes a decorative hole when knitting. Knit 2 together, Knit 1, pass stitch over to bind off. Peace, Love & Happy Halloween!